For this week’s theme, ‘in the jungle’, the children took part in their first design-thinking project of the term. They read a compelling story about Filo, the orangutan, who lost his home, food, and livelihood to deforestation. The children gasped as they saw pictures of a beautiful forest before and after deforestation in Borneo. The story ended with Filo’s cries for help; he missed his home and family, and wished his friends could help build him a new home where he could be happy again. Now that they had decided on a reasonable course of action, Ms. Ola took them over to the model forest she had set up before the class. She showed them how Filo’s home had been deforested as she drove the tractor toy across the forest, toppling over all the small world trees. Now the children were looking at an empty forest – a blank canvas. They could do whatever they liked to help their friend Filo. Ms. Ola paired the 3s in groups of 5, and let them work together on building the forest. It turned out that they had a few different ideas and when they couldn’t get a consensus from the group, they all decided to take their suggested solution and build it on the empty forest. One of the girls took a structure made of yellow blocks and put it at the edge of the forest, “it’s a bush for the bananas”. Of course, little Tina had seen pictures of Filo and his friends enjoying bananas in the forest, so she wanted to make sure there was a sustainable food supply for them. One of the other boys thought the only possible solution could be trees. He grabbed all the trees he could find, and put them on the empty forest land. He looked satisfied, and took a step back to watch what everyone else would come up with. Two of the other boys had their own solution for Filo’s new home. While one of them built a tall tower of blocks for Filo’s “new home”, the other made a wall of wooden blocks (that looked like it also had some houses) on the boundary of the forest. Whether he thought this was a good housing development for the orangutans or a means to keep the “strange men” with tractors outside the forest, we are not very sure. The other 3-year-old girl, who initially thought a Halloween party is the best solution to Filo’s problems, brought birds as Filo’s friends for the forest. “Filo is sad, but the birds are happy”. It was a very engrossing experience for the teachers and assistant as they observed from a distance how the 3s were tackling on a real-world challenge to save the orangutans. 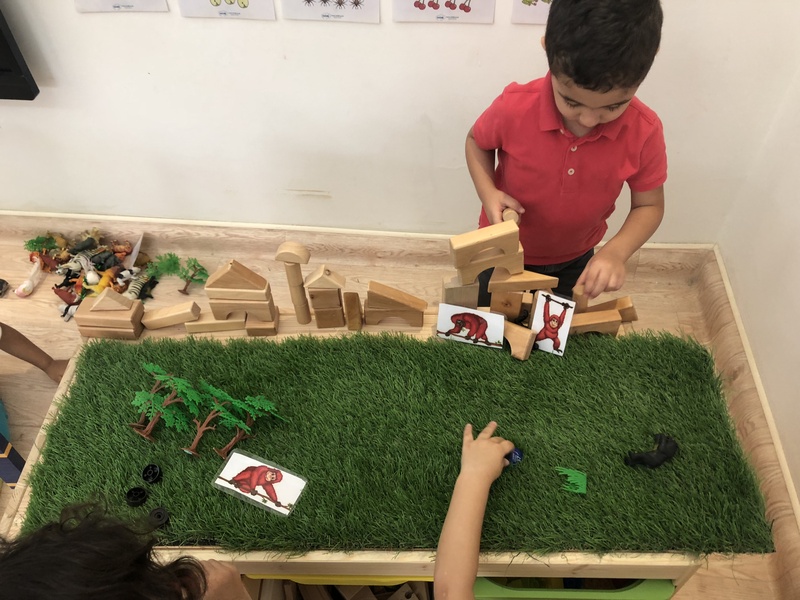 We learned that when presented with a thought-provoking question, children will do anything possible to their imaginations to create a solution for a problem presented. There was no child who left Filo to his fate and found something else that was more interesting to them. 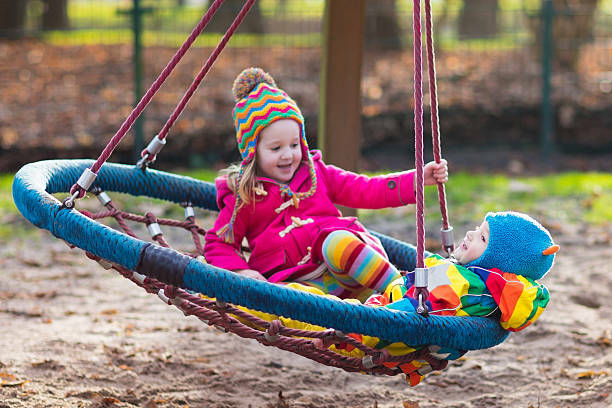 One might argue that they are too young to actually be able to problem solve, but it is the process that is far more developmentally beneficial for preschoolers. Today they learned how to brainstorm, collaborate, be creative and think critically, and problem solve. Today they embraced design-thinking.